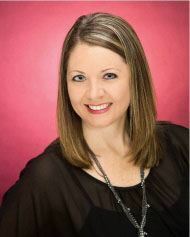 I am a local area Realtor with Century 21 Premier Realtors and have been for 9 years. I spent 10 years prior to my real estate career supporting the US Army working for a contract support business. At present, I serve on the board of directors for the Fort Hood Area Association of Realtors, member of the Copperas Cove Quarterback Club, Copperas Cove Chamber of Commerce Board Member, and Treasurer for the CCISD DECA program. I was born in Pueblo, Co however grew up as a child of the military moving around. Madison, South Dakota was my home town before claiming Copperas Cove as our home. I moved to central Texas at the young age of 20 years old to attend Central Texas College. This is when I met my husband David. Together we have three children, two are graduates of CCHS and our youngest attends CCJHS. Hard work, determination, communication and teamwork play a fundamental part in the role as a Realtor. I believe these values have motivated me as a leader, as a Realtor and as a mom. As a Realtor I have dedicated myself to helping make Century 21 Premier Realtors a strong and thriving company. My motivation is to make today better than yesterday and to learn at least one new thing daily. I strive to be the best and give the best service each day. I pride myself in customer service. That said, in my experience as a Copperas Cove real estate professional, I’ve also found that providing the very best service is essentially about putting my clients first. This means keeping myself accessible, being a good listener as well as a good communicator, and responding quickly to your needs. So when you decide that you’d like to buy or sell a home in the Fort Hood area, please contact me.